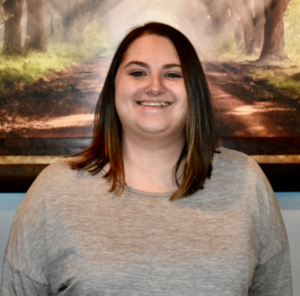 Mallie joined the staff as Youth Pastor at Grace Community Foursquare Church in the summer of 2018, and is responsible for overseeing and serving our 6th-12th grade students. Her heart and desire is to see young people encounter and come to know Jesus in a real and personal way. She is passionate about empowering young people to walk in the gifts and callings God has placed on their lives. Her heart is to see a generation of young people who love and serve God as well as those around them. Mallie was born and raised in Peru, IN. She grew up attending as well as serving the local Foursquare church in various areas of ministry. Upon graduating high school, she attended Life Pacific College graduating with a BA in Worship Arts in Media. She loves coffee, music, and all things LEGO.